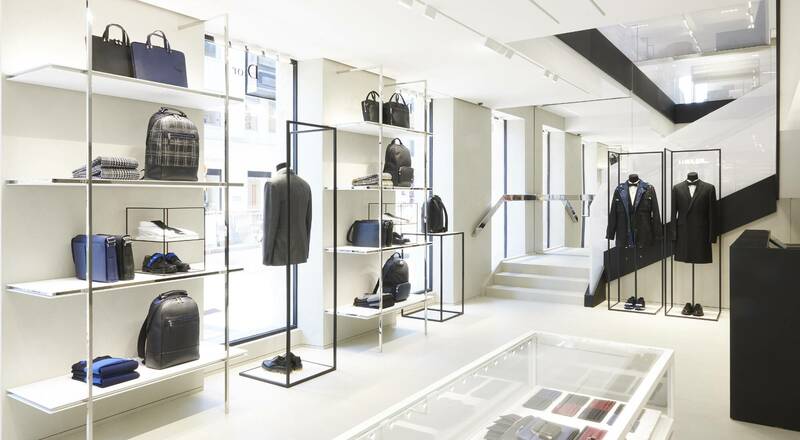 Dior is focusing the spotlight on men with the inauguration of a new store dedicated exclusively to men’s products, with a prestigious location in the Paris Golden Triangle district. Opened on October 2, the store at 24 rue François 1er features the full range of collections designed by Dior Homme Creative Director Kris Van Assche. The new Dior Homme flagship welcomes customers to a streamlined, sunny space spread over two floors. Dior gray, black leather, wood and stainless steel are subtly mixed, echoing the elegant spirit of Kris Van Assche’s collections. Customers have an extensive choice of chic looks and less formal pieces from the ready-to-wear, accessories and shoes designed by the Dior Homme Creative Director. To bring clients an exclusive experience, the store has an in-house Dior Tailleur atelier and offers a range of personalized services, including special orders and a demi-mesure (semi-bespoke) salon.